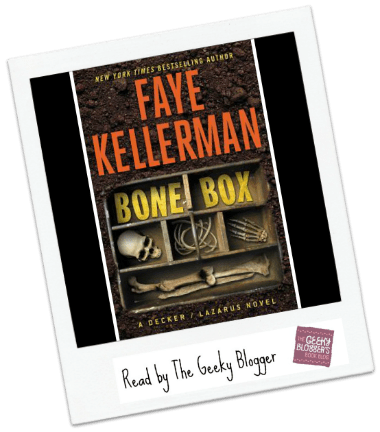 In this thrilling chapter in Faye Kellerman’s bestselling series, Rina Lazarus makes a shocking discovery in the woods of her upstate New York community that leads her husband, police detective Peter Decker, through a series of gruesome, decades old, unsolved murders, pointing to a diabolical, serial killer who’s been hiding in plain sight.On a bright and crisp September morning, while walking a bucolic woodland trail, Rina Decker stumbles upon human remains once buried deep beneath the forest grounds. Immediately, she calls her husband, Peter, a former detective lieutenant with LAPD, now working for the local Greenbury Police. Within hours, a vista of beauty and tranquility is transformed into a frenetic crime scene. The body has been interred for years and there is scant physical evidence at the gravesite: a youthful skeleton, a skull wound and long dark strands of hair surrounding the bony frame. As Decker and his partner, Tyler McAdams, further investigate, they realize that they’re most likely dealing with a missing student from the nearby Five Colleges of Upstate—a well-known and well-respected consortium of higher learning where Rina works.And when more human remains are found in the same area, Decker and McAdams know this isn’t just a one-off murder case. Short-staffed and with no convenient entry into the colleges, Decker enlists Rina’s help to act as the eyes and ears of campus gossip. Winding their way through a dangerous labyrinth of steely suspects and untouchable academics, Decker, McAdams, and Rina race to protect their community from a psychopathic killer still in the area—and on the hunt for a fresh victim. Quick Thoughts: I have started 2017 in a thriller type of mood. This series has always been a bit of a hit or miss with me. Faye writes really good thrillers but sometimes too much of the Decker/Lazarus relationship bleeds into the story. In this case, it was a pretty good balance. I liked the mix of cold case/methodical detective work/current case storytelling. I won’t give anything away but the way it plays out is pretty darn good! Overall a pretty enjoyable read! I think this cover is fantastic. I didn’t realize how far into the series this is. This one keeps catching my eye. I haven’t tried this author, but I am in a thriller mood. Is it too dark and gory ? This one isn’t–it is more like a cold case so loads of detective work. The subject matter is pretty grim but they don’t go into it to heavily.